An average modern household in Australia consists of only 2 - 3 people, yet conventional dishwashers hold up to 13 place settings. This results in the use of an unnecessary amount of water and electricity. The alternative, hand-washing, uses even more water, up to about 30 litres. Good industrial design considers the efficiency of a product. It aims to minimise the amount of resources required to operate it and the amount of components and materials it is made of. 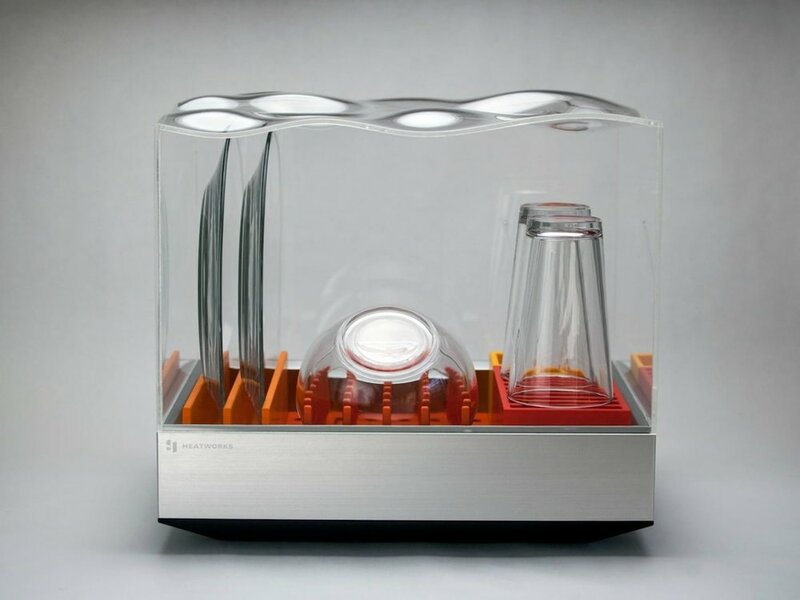 An example of such a well-considered industrial design approach is the Tetra dishwasher by Heatworks. Tetra is a compact countertop dishwasher that holds 2 full place settings and takes only 10 minutes to complete a full cycle. It can be placed anywhere in your kitchen as it does not require access to any plumbing. The system requires only 2 litres of water to be added for each wash and has a detergent reservoir that lasts 12 cycles. Despite being of a minimal footprint, and being water & energy efficient, it performs multiple functions including; sanitising baby products, steaming food, and steam-cleaning small clothing. This makes it a great example of a product that embodies a thorough industrial design process by delivering valuable utility. Tetra functions and achieves its efficiency by employing the patented Ohmic Array Technology which agitates the natural minerals in water using electrodes to produce heat and therefore steam. In addition, being a product designed for our times, it is connected to the internet, allowing it to be controlled and monitored through an app. The Tetra dishwasher was showcased at CES 2018 and will be available to purchase late this year for under $300. To achieve a feasible, desirable, and sustainable product such as the Tetra, one should implement an industrial design approach driven by the pursuit of minimising waste in its use and manufacture. To discover how we can help your business to benefit from efficient industrial design get in touch with us at our design studio in Melbourne on 03 9939 8880 or hello@honepd.com.